We are happy to provide information on our great sponsors! The sponsors on this page promote and support Agriculture and the Texas olive industry. 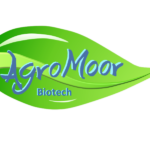 AgroMoor is leveraging patented microbiological-formulations (including the LALITHA 21 formulation) to address some of the important agricultural-sustainability challenges of the future. Agriculture and rural Texas — that's what Capital Farm Credit is all about. For a century, we've been financing agricultural producers, agribusiness firms and country homeowners across the state. Irrigation-Mart is a Full-Service Irrigation, Drainage, & Farm Equipment Dealership. Proudly serving your agricultural and irrigation needs since 1978. To achieve extra virgin olive oil, the desired flavor and shelf life requires quality fruit, timely delivery of your fruit to the mill and expert milling. Let us come to you! © 2019 Copyright Texas Association of Olive Oil. Built by Moticos Studios.